Click on the title links to listen to a brief excerpt from that song in the mp3 format. 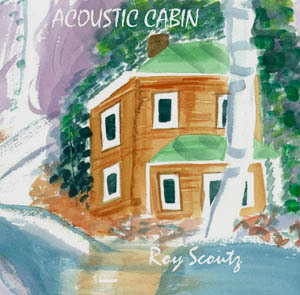 This is Roy's latest album. 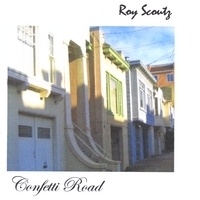 "Confetti Road" is the long awaited follow-up To "My Fathers Garden", released in 2003. This new CD is a direct response to many fans asking for more up-tempo Smooth Jazz. All the songs are originals, except for the George Benson cover "Affirmation ". This new collection explores more smooth jazz grooves and showcases more jazz guitar playing and composing. I also play keyboards and bass! After playing solo guitar gigs for seven years, I felt I was ready to record a CD of original songs for acoustic guitar. The CD is a work in progress, and I will be adding tracks to the Web site as I continue to record. It may feature a few covers but will mostly be originals. This latest holiday offering was made for an independent distributor. 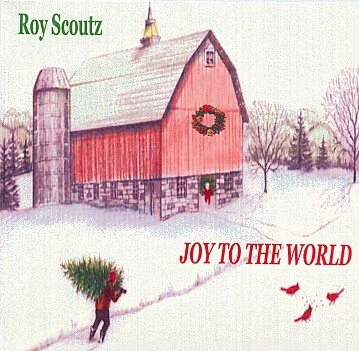 There are some songs featured here that also appear on my "Joy to the World" CD. However, this disc features more acoustic guitar and piano whereas the other one showcases the flute. Plus, the sound quality is far better on this new release. This CD showcases a diverse collection of instrumental music, featuring the songs of fellow composer and good friend Mark Gutierrez. 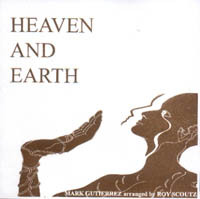 Mark and I collaborated on seven of the sixteen tracks, and I arranged and produced the music. The CD hits on many styles, including Pop, Country, Blues, Bluegrass and Latin. I play all kinds of guitars, keyboards, percussion, baritone bass and mandolin; Mark plays guitar and percussion. All instrumental. Also featured are violin, viola, trumpet, flugelhorn and voice. 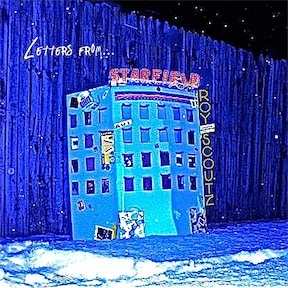 If you like my music you will love this CD. 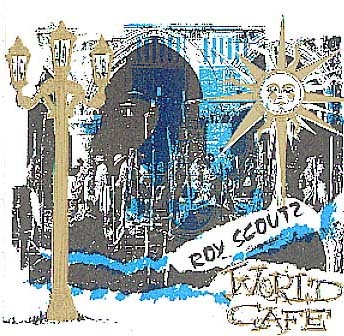 All songs composed by Roy Scoutz. 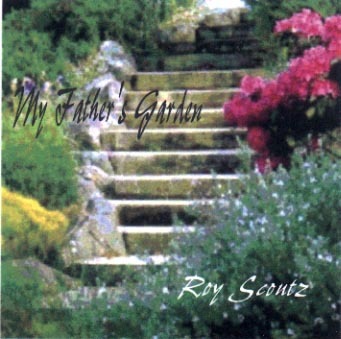 "My Father's Garden" is the latest release from Roy Scoutz and carries a variety of moods. From the gentler sounds of "Prayer for the World" to the far eastern feel of "Bamboo Moons". The CD also features the smooth jazz grooves "Back Home Again" and "California". 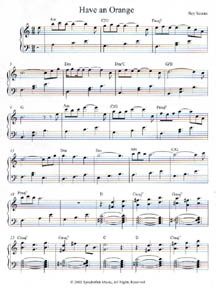 There is also an uptempo Latin tune "East West". Instruments featured: Lap Steel, Flute, Japanese Koto, Percussion and Guitar. This CD has become a big favorite and was the first recording that really featured every aspect of my sound and style with perfect balance. From the carefree spirit of "Boat on the Water" and Discover My World" to the restful rhythms of "Birdhouse". Let the beautiful, peaceful melodies take hold of your soul. This recording includes natural sounds of the ocean, seagulls, rain and wind. 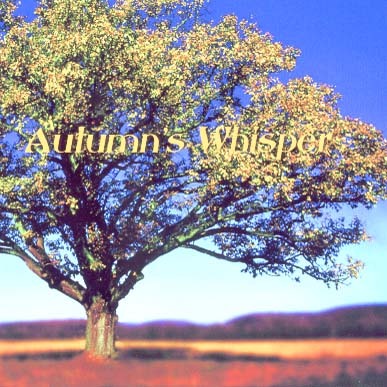 Includes 14 songs from Autumns Whisper, From A Blue Sky, World Cafe and My Fathers Garden, arranged for piano including guitar chords. 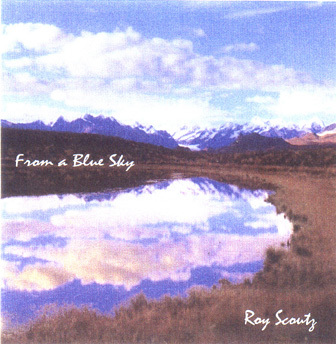 Now available is "From A Blue Sky". This is the ultimate chill out CD. All of the tempos are medium to slow and very easy to relax to. Tracks like "Rainbows for the Soul" and "All the Magic in the World" contain a smooth jazz feel. "Islands in the Sun" may be one of the most beautiful pieces I have ever composed and features the viola. Instruments featured: Piano, Violin, Viola, Steel Guitar, Voice, Harp and a Talking Drum. 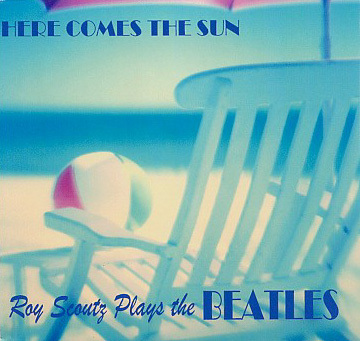 Now available is "Roy Scoutz Plays The Beatles". Eighteen classic Beatles songs performed on acoustic guitar. In addition to enjoying arrangemenst for solo guitar, you will also hear piano, strings, voice, percussion, woven in pop, classical, jazz and new age colors. Songs include: In My Life, Norwegian Wood, Yesterday, Blackbird, All mY Lovin', Here, There and Everywhere. Are You Up On Love? 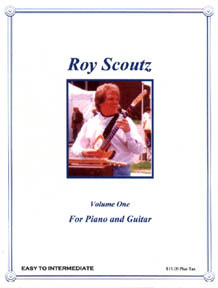 Roy's first release offers up a variety of moods from the romantic sounds of "Suite Olivia" and "Time Can't Stop the Memory" to the more classical "Variations on the Mozart Requiem" piece for classical guitar and flute. This CD also features a Scottish jig and a modern Irish tune, "Glory Glory". Instrumentation includes: Guitars, Piano, Strings, Viola, Percussion, Mandolin and Flute. 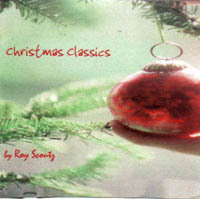 This collection of Christmas favorites offers up these classic melodies in jazz, baroque and Celtic styles. The flute is features throughout this disc, along with light percussion, strings, paiano and guitars. Songs include: Hark the Herald Angels, Joy to the World, Bach's Minuet in G, Santa Claus is Coming to Town, Silver Bells and seven other songs.